I posted the above photo yesterday showing this great character, Peter Flint. I was given the opportunity to visit him a few weeks ago and jumped at the chance. 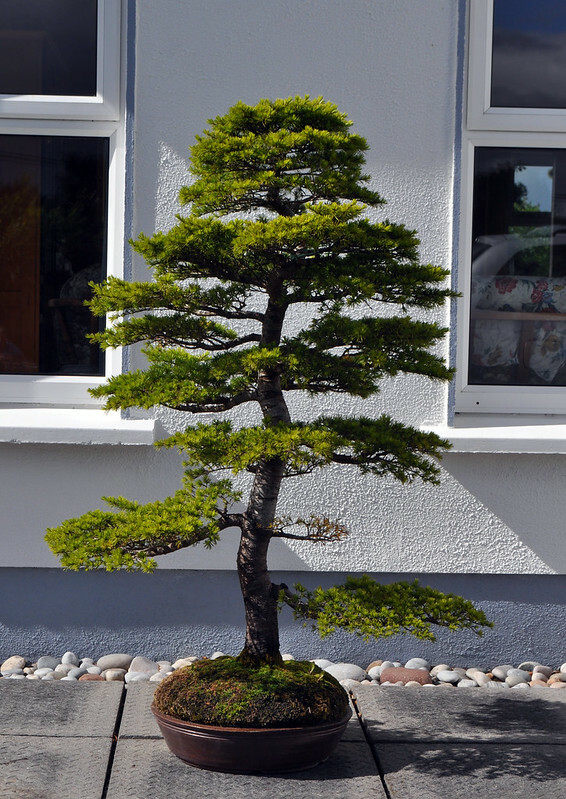 Peter had been in the UK bonsai scene up until roughly 15 years ago when he retired and moved to County Galway in the West of Ireland. 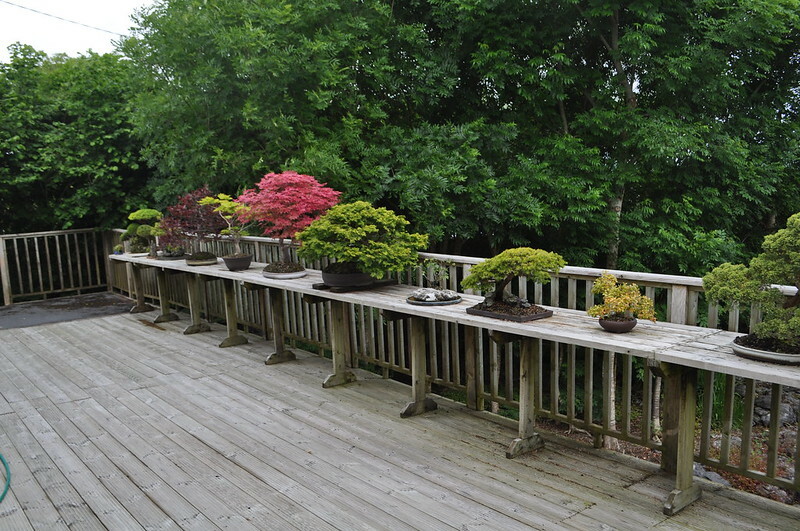 He brought his large collection of bonsai with him. 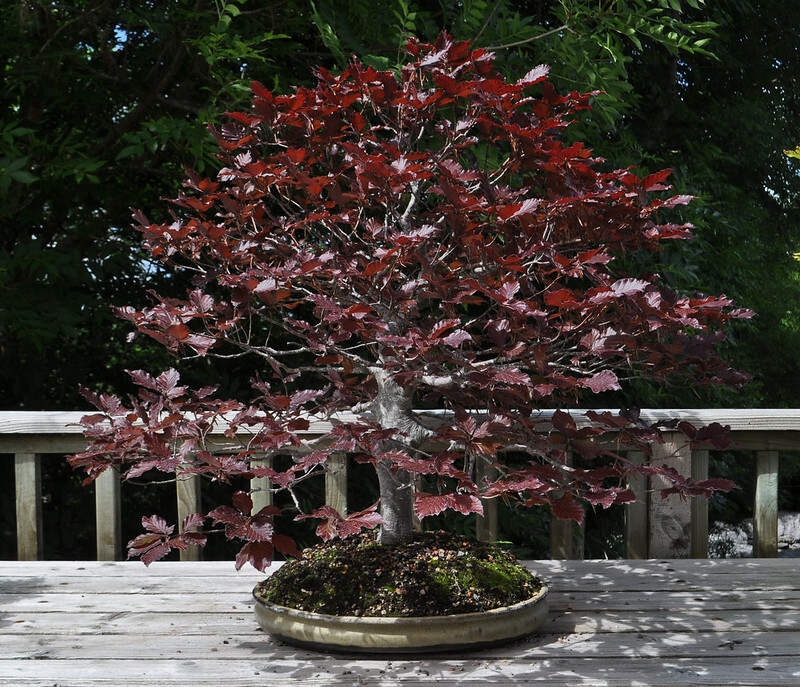 Over the years he has reduced this collection to match his changing circumstances but his passion for bonsai has never dropped. 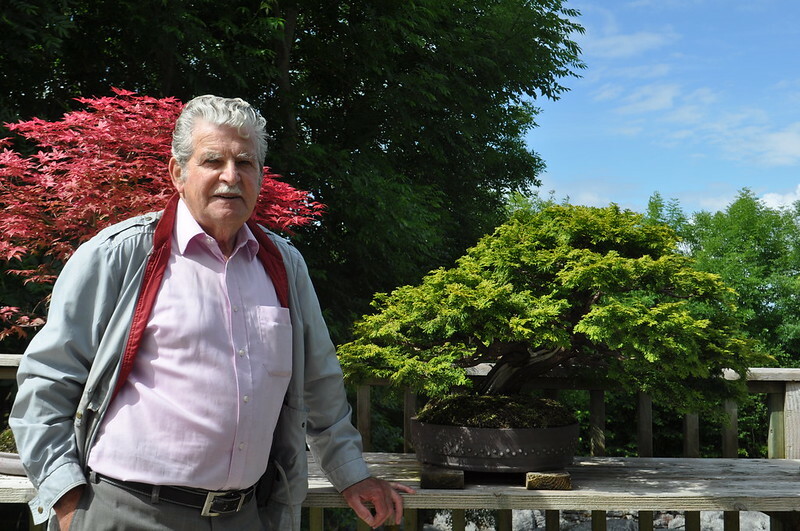 I had planned to spend a few hours with him chatting about bonsai but more so about the old days of bonsai in the UK. A few hours turned into nearly seven before I hit the road home! 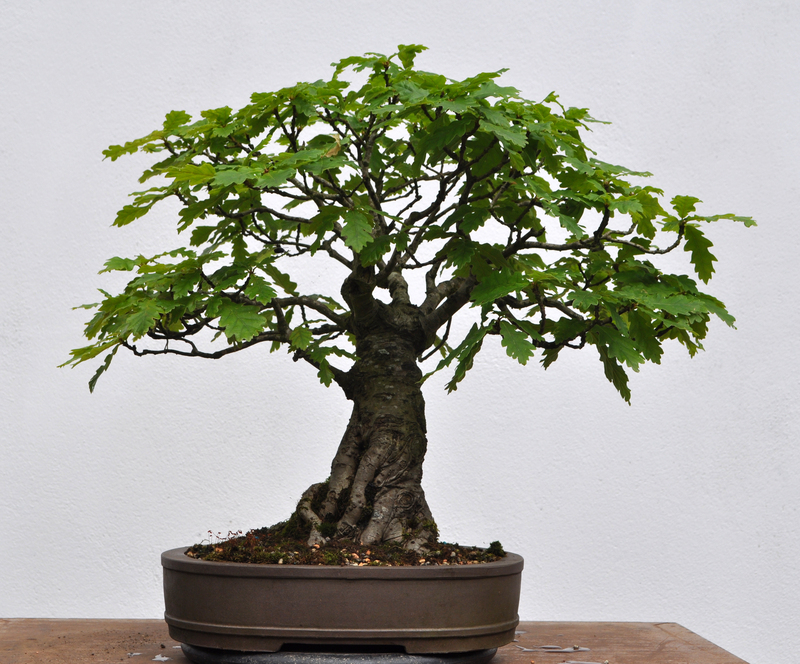 What a fantastic day we had swapping stories and catching Peter up on the last 15 years of the bonsai scene. We knew many of the same people, some who have moved up the ladder and some who have sadly passed on. 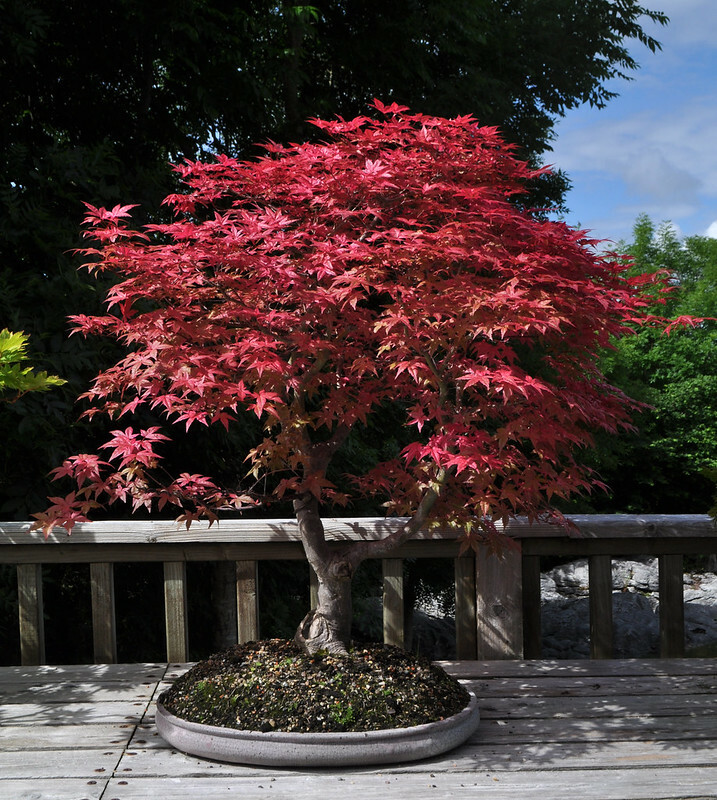 Peter was involved in the first days of Fobbs and the National Collection in Birmingham as well as being a founder member of the Bedfordshire Bonsai Society. 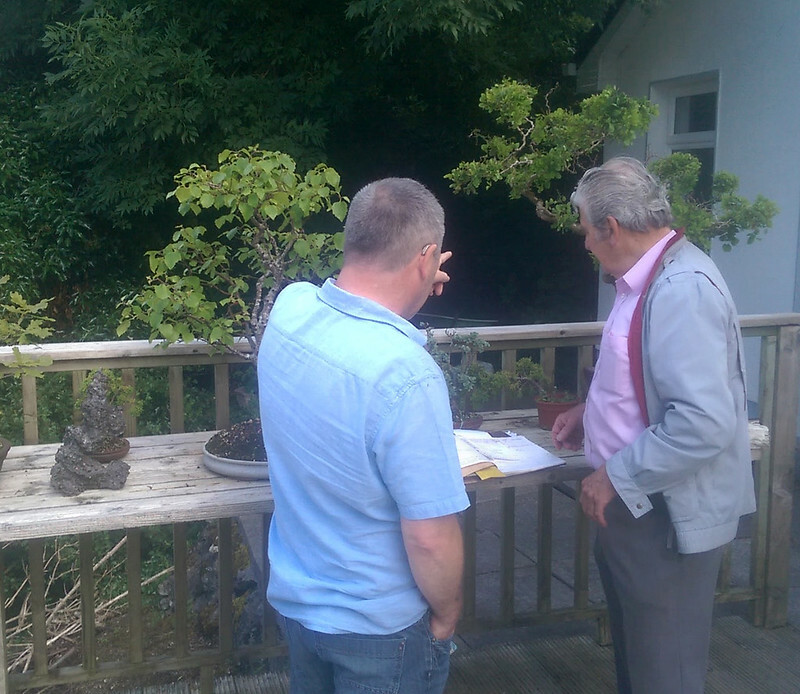 Peter gave me the tour of his remaining bonsai and showed me the meticulous records he keeps for each tree showing when and where he bought it, or where the seed was bought from. 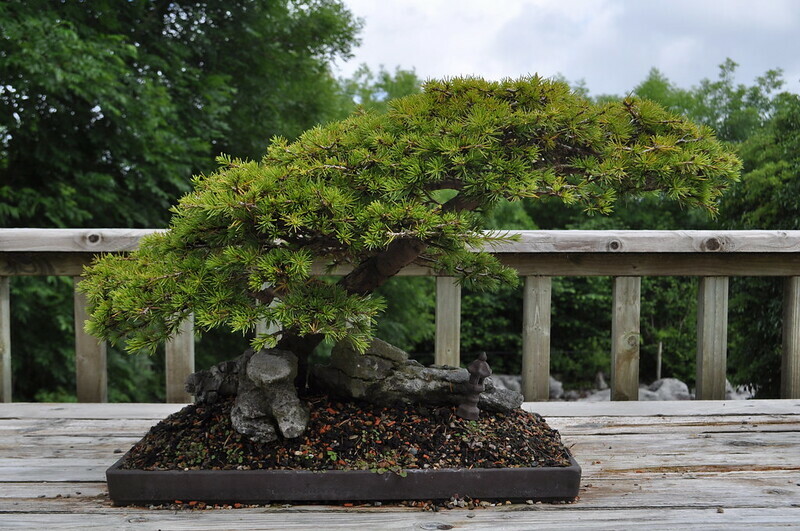 Seeing mature bonsai started from cuttings or seed back in the 70’s was a pleasure, nearly more so than the bought trees that were still in his hands. 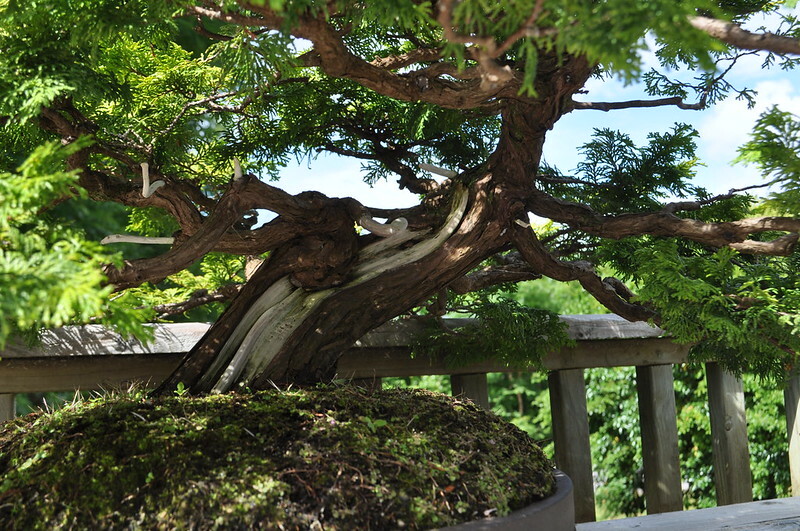 He has a fantastic Hinoki Cypress that has a great history, a story a half hour in the telling. 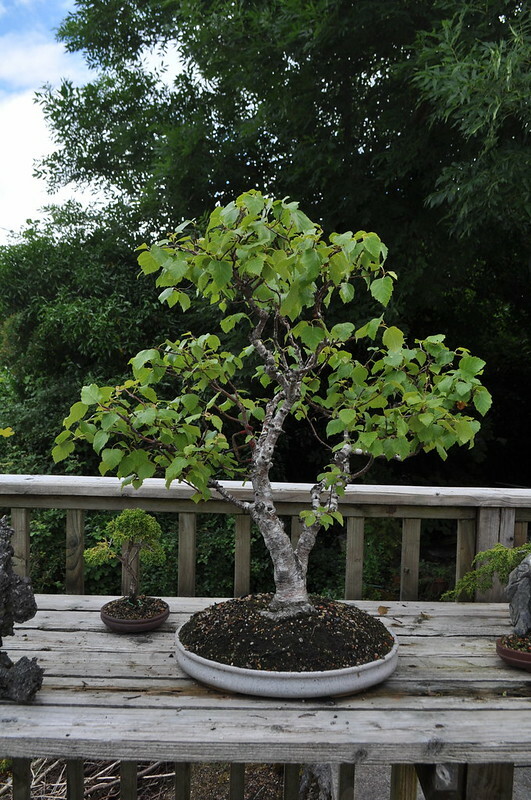 I tried to persuade him to exhibit it in our Clubs Bonsai 30 Exhibition in September but I’m still waiting on an answer. 😉 The tree had been awarded a certificate of Special Merit by Fobbs back in 1992 at Dunstable. I told Peter I’d ask if anyone had any old photos of the tree from back then as he doesn’t have one. If anyone reading this was there or may know someone who has old photos from 1992 still knocking around, can you please ask around for me? The tree was also one of the first Batch to be loaned to the National Collection in Birmingham before they had permanent exhibits. 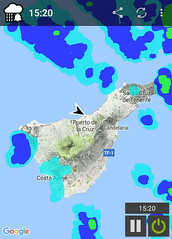 Some photos of it there might be knocking around too. 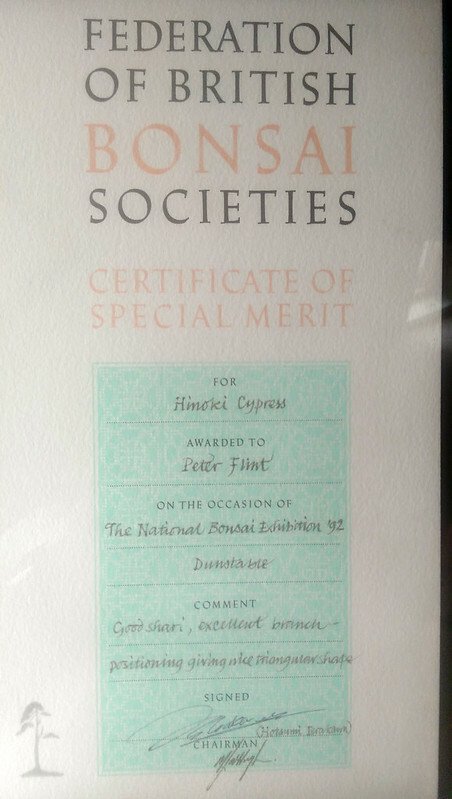 This is the tree below along with the certificate from the exhibition. Peter showing us his tree records. Some of his remaining trees. 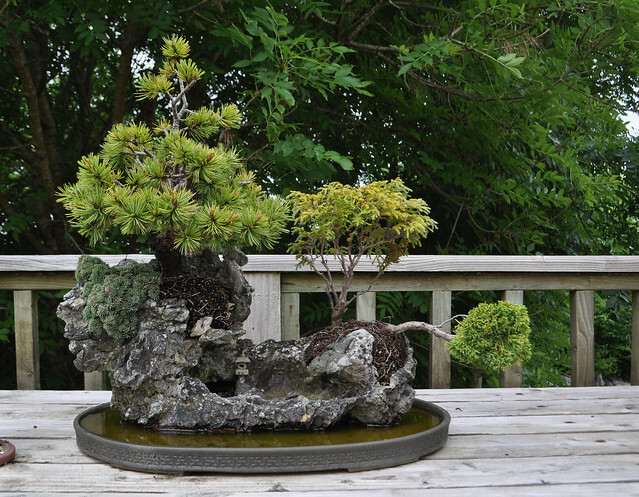 A Japanese White Pine on a Rock. Cedar from garden Centre stock. I would just like to thank Peter for allowing me to visit and to Derek for doing the driving. Peter is a real character and sharp as a tack. 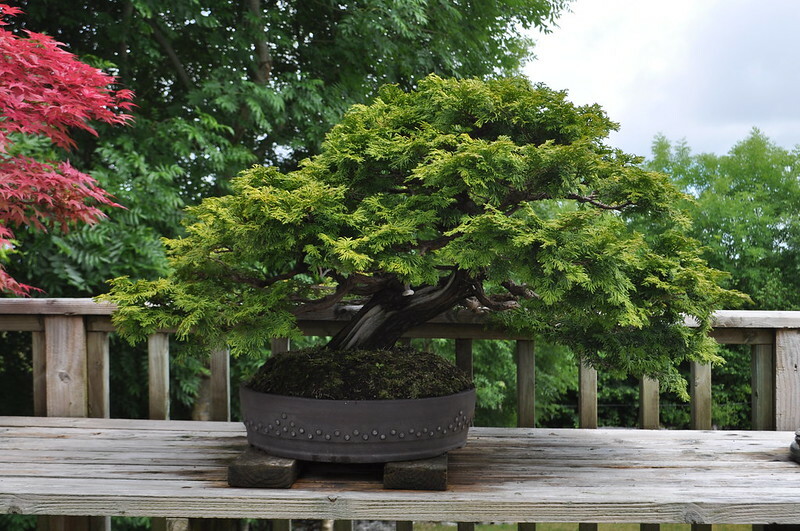 I could spend a week with him just chatting about bonsai and his experiences. I am delighted that I had the chance to chat with him and it won’t be the last time either. If you used to know Peter and want to get in contact with him for a catch up, just CONTACT ME and I’ll try andput you in touch.